The idea of having “deadly games” at your event may be something you wish to avoid. However, we are referring to the new generation of entertainment. They are a fantastic duo – young, beautiful and talented. Have you ever organized an event where your audience was constantly kept in suspense? There is such a show you can get for your event. A show which keeps your guests on the edge of their seats, excited and amazed! The Deadly Games is the name of a knife-throwing duo. Read on to find out more. The duo features Alfredo Silva and Anna. They combined their individual acts back in 2009. It was a perfect fit, and the result was unique. Additionally, they decided to unite their lives as well. They have married: the perfect husband-and-wife daring duo. Alfredo was not always a knife-thrower. He started as a juggler and magician. He even rode motorcycles inside the Globe of Death display, which is a circus stunt where trained professionals ride motorcycles inside a mesh sphere ball. On the other hand, Anna is a professional ballerina who worked mostly as a choreographer. By joining their talents under the name of Deadly Games, they have managed, even from the start, to impress large audiences. You may feel like that is not much, but wait until you see how they work their magic on stage. Yes, that is correct! 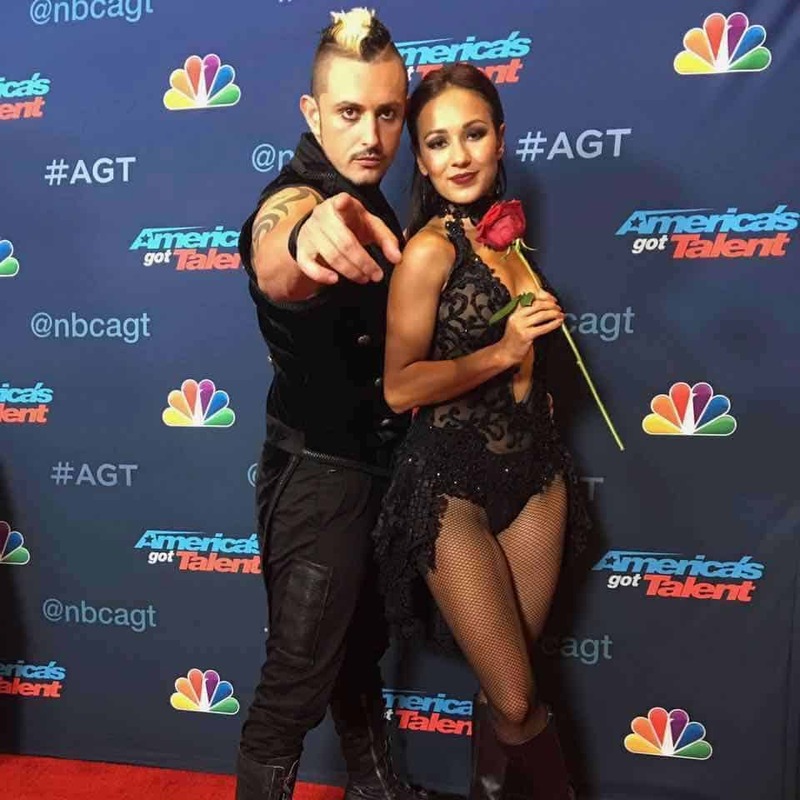 The Deadly Games were semifinalists in 2016’s America’s Got Talent show. Did you notice how the judges were thrilled and adrenaline-filled throughout the entire performance? That is what your audience could experience as well, should you book the talented duo. Additionally, you can see they have a unique chemistry. Who would dare throw a deadly weapon at someone else, blindfolded, without fearing to inflict severe wounds?! Of course, what they have presented at America’s Got Talent is only a sneak peek at their type of live performances. This dynamic duo can customize their routine to fit your event’s theme perfectly. It will surely make your guests remember the moment for years to come. Granted, their show is not suited for children, but it is perfect for mature audiences. What’s great about their show is that it transcends language barriers. It is 100% unique and can be enjoyed by all, regardless of culture. It is a new generation of entertainment, one which is fast, bold, and mesmerizing. Just look at the costumes and skills! If you feel like Deadly Games is what your event needs to be a resounding success, go ahead and get in touch with The Grable Group online or call us at 615-283-0039. Working with us gets you access to a select and vast pool of talent. Additionally, our services get you peace of mind as you can scratch entertainment off of your event’s checklist.